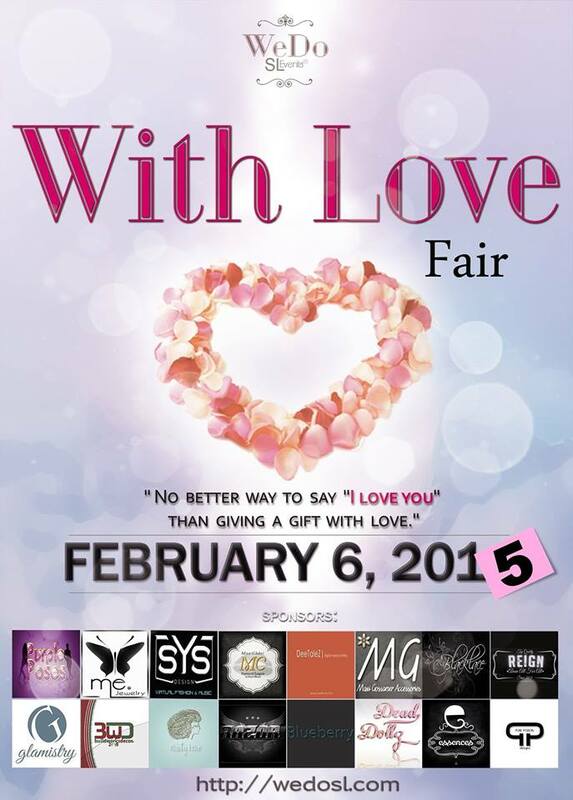 Dead Dollz is at the With Love Fair 2015. Kiddo has delivered an original Mesh evening gown and cocktail dress that exhibit class and sophistication. The evening gown I am wearing is called, “Beloved” and well named it is because I love how it fits. Beloved is available in three colors, Black, Fuchsia and White as well as included in each color is a variation of that color. I love everything that comes from Liv Glam and I mean EVERYTHING! I get so excited every time a notecard appears with this weeks events and those items listed! Not only is everything look great but it’s a great price and that means so much to me. 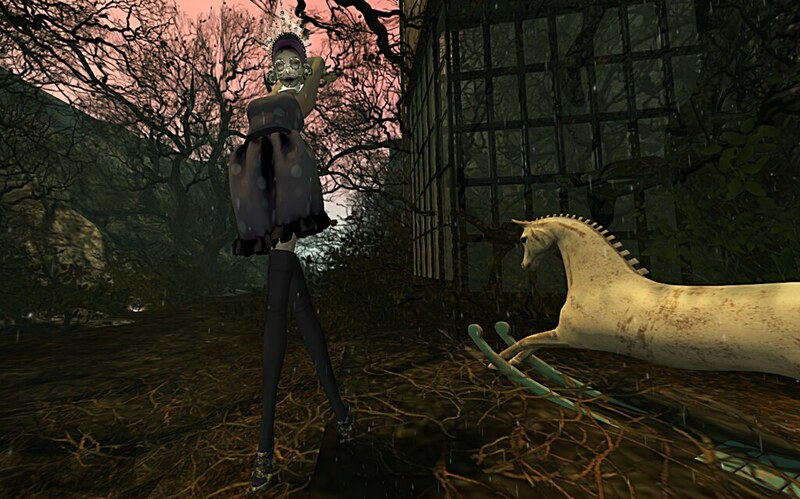 Today I am showing you a new outfit called, Anastacia Markova. This is a mostly Mesh outfit that includes 5 sizes and a bodice in system layers. This is perfect for a day of shopping and lunch with the gals or going to a world movie premier…anywhere you have on Liv Glam you will look and feel spectacular! A LM’s can be found in the Links Tab at the top of my blog.